We often hear people say Terran go for bio or mech. While we have a good idea that mech is made up mainly of Factory units, we often underestimate how complex bio can be due to its flexibility in working with different units. For example, Marine, Tank, and Medivac is the most common composition in TvT, and it is composition which bio mixes with Tank. Specifically, in TvZ, aoe support units are staple in the match up. The fundamental understanding is that Zerg can easily swarm Terran when there is no aoe support. There are three main aoe support units in Legacy of the Void: Siege Tank, Widow Mine, and Hellbat. Conventional knowledge suggests using Siege Tank against range units (e.g., Roach and Hydralisk) and Widow Mine against melee units (e.g., Zergling and Baneling). Hellbat was tested in a dark time in Heart of the Swarm when Widow Mine aoe was nerf too much, and it was quite clear that Hellbat does not make the cut as an aoe support unit. Terran usually pick one aoe support unit for bio in the mid game, and the choice is usually independent to what build they use. The Factory production after Terran have reached the 5-1-1 convergent point tells you whether Siege Tank or Widow Mine is the choice. Since the rise in popularity of the Zergling, Baneling, and Hydralisk (ZBH) composition, Siege Tank has become the default choice. /u/3oct10 pm me an interesting tech switch two months ago regarding Maru’s games against soO in GSL vs. the World 2018. Maru switched from Siege Tank to Widow Mine in the mid game. Terran usually do not do such “tech switch” unless it is to counter opponent’s composition in a certain way. See the vod below (game 1). Maru was using 2-1-1 into a subsequent push with two Siege Tanks. He continues to make more Siege Tanks as the game proceeds further into the mid game, and then he switches to Widow Mine production in the late game (or later part of mid game if you want to call it that). In my opinion, this is the “start” of the shift in trend. Let’s back track a little, there was a time when Terran focus on 2-2 bio Tank push against ZBH, and players put down the second Factory after 5-1-1 (i.e., 5-2-1) to build a up a high Tank count for the push. The popularity of this style is inversely correlated to the popularity of Raven Ghost late game (pre-nerf). It is tough to transition from double Factory 2-2 push into a late game Raven and Ghost army, because the two strategies are meant to peak at different times. A big trade with the 2-2 push is inevitable unless you win with it, so the Terran army sort of “reset” after the push by producing from the production buildings you already have. This set up does not give you much luxury to tech to Raven and Ghost. Doable, but not the best transition option. Thus, Terran were discarding the 2-2 push to position themselves to get to the Raven and Ghost composition, and this leads to the shift in support unit choice that I am discussing here. You cannot just defend while you tech to a late game army against Zerg. This is because Zerg can expand more, control the map better, and get to the late game army faster. To counter this, Terran utilise the mobility of the bio to have multiple hit and run squads while they are building up a late game army. The intention is to slow down Zerg’s development as both sides intend to move to the late game. The result of this line of thinking is to not put down a second Factory, but simply use the Tanks for defense while the bio units engage in hit and run. See below vod for an example. This brings us to the current style. As discussed earlier, Maru switched from Siege Tank to Widow Mine in the later stage of the mid game. He fine-tuned this by making the switch earlier. Siege Tanks are only produced early on in the transition from early to mid game, and they are dispensed for the Stim +1/+1 timing. Siege Tanks are better than other options in this time frame, because this is the time when Terran are vulnerable to various all-ins as they are building up the bio count to transition into the mid game. Subsequently, when Stim and +1/+1 are ready (with Medivacs), Terran make a timing push to maximise the value of the Tanks. The next part of the strategy is to slow down Zerg’s influence on the map. This can be done by denying bases, clearing creep, and killing Queens and Drones. Importantly, Terran do not want to make a push, which leads to a big engagement. This is because a sudden dip in army count on both sides does not facilitate the investment to a late game composition. A push at this stage is usually done to free up supply during the transition. Given the goal is best achieved by hit and run, Widow Mine fits best as the supporting unit due to its superior mobility as an aoe option. Therefore, we see Terran rely on Widow Mines instead of Tanks in the mid game recently. See below vod of a recent example. The screen shot below shows the research investments in Widow Mine (i.e., mech unit armor and Drilling Claw) and the timing of them in relative to the standard bio upgrade. Widow Mines sync better than Siege Tanks with the late game composition. Zerg want to have big engagements in the late game rather than multiple small skirmishes on different places because Ultralisks or Broodlords do better in an “in the face” battle. Terran’s response to Zerg’s late game army is Liberators and Ghosts now after Raven’s Anti-Armor Missile is nerf. While an army mainly made up of these two units is ideal against Ultralisk and Broodlord, it is extremely weak against Zergling and Baneling. Hence, it is common for Zerg to tech switch quickly and max out on mainly Zergling and Baneling after a big battle for another engagement. Marine and Marauder are not the answer either, as Terran really need aoe support units (and positioning) to handle the swarm units. Widow Mines are more effective than Siege Tanks against Zerglings and Banelings. Furthermore, it is difficult to get a certain number of Siege Tanks in time for their presence to be felt. All in all, the research investments in Widow Mines shine in the late game. Maru again shows he’s ahead of the curve with minor refinements like this. 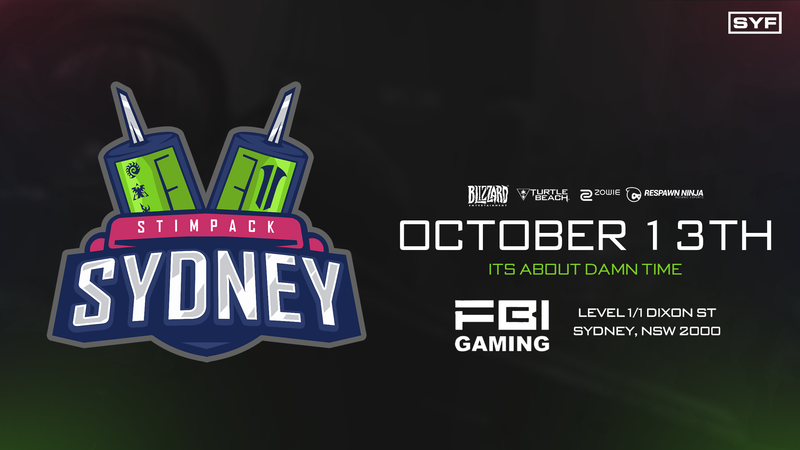 If you are in Sydney, make sure you check out the lan this Saturday. Lan event is rare nowadays, so do not miss this opportunity to meet like-minded people and make some friends even if you do not want to participate. Next Should Cyclone be Reverted to Pre-3.8? Great write up and insight as always and for the first time I feel proud of myself because I started incorporating widow mines in my ladder matches by myself. Although it was for the reason that my ladder opponents (dia2) sometimes have low hydra count and mass ling bane. Therefore I lost lots of battles cause tank aoe was not enough. Your article and marus games now give me a clear point of transition instead of having to make judgement call on each game.